….I wanted to call my next album, whenever I made it, Surviving In A Ruthless World. I wanted to call it that. Before we even went into the studio, “The next album I do I’m gonna call Surviving in a Ruthless World”. But something was holding me back from it, because for some reason… somebody pointed out to me that the last bunch of albums that I made all started with the letter S. And I’d say, “Is that right?” There must be a story or something. I didn’t want to do another one beginning with S just f for superstitious reasons. I didn’t want to get bogged down in the letter S whatever the letter S stands for. And this Infidels came out, just came into my head one day, I guess. This was after we had that album done that it just came in my head that this is the right title for this album. I mean, I don’t know any more about it than anybody else really. I did it. I did the album, and I call it that, but what it means is for other people to interpret, you know, if it means something to them. Infidels is a word that’s in the dictionary and whoever it applies to… to everybody on the album, every character. Maybe it’s all about infidels. 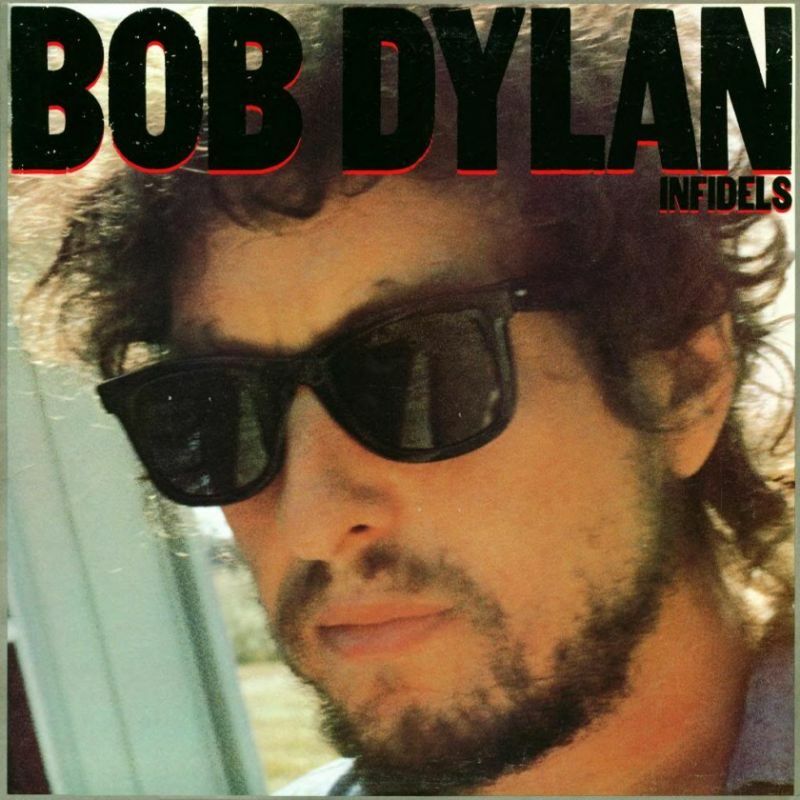 Infidels is the twenty-second studio album by American singer-songwriter Bob Dylan, released in October 1983 by Columbia Records. 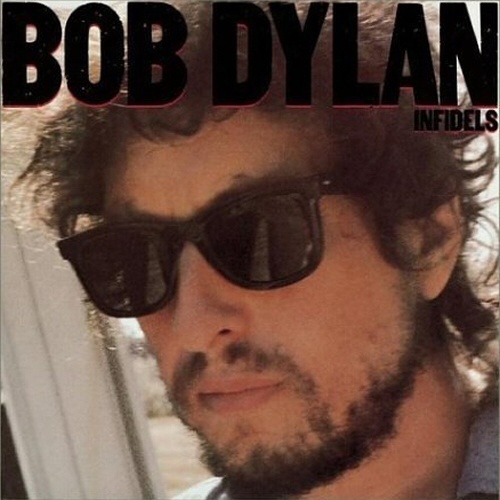 Produced by Mark Knopfler and Dylan himself, Infidels is seen as his return to secular music, following a conversion to Christianity, three evangelical, gospel records and a subsequent return to a secular, culturally Jewish lifestyle. Though he has never abandoned religious imagery, Infidels gained much attention for its focus on more personal themes of love and loss, in addition to commentary on the environment and geopolitics. 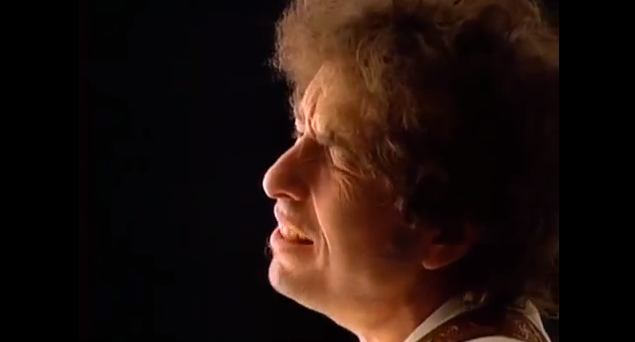 The critical reaction was the strongest for Dylan in years, almost universally hailed for its songwriting and performances. 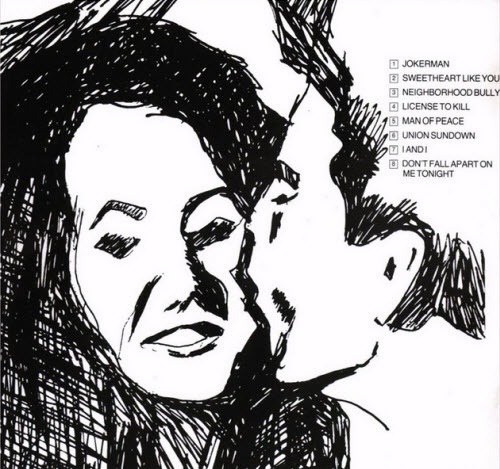 The album also fared well commercially, reaching #20 in the US and going gold, and #9 in the UK. Still, many fans and critics were disappointed that several songs were inexplicably cut from the album just prior to mastering—primarily “Blind Willie McTell“, considered a career highlight by many critics, and not officially released until it appeared on The Bootleg Series Volume III eight years later.